Why PMP Certification? What's In It For You? with Exam Prep | PMI-ACP Certification Training | PM Career Paths | Why PMP(R) Certification? What's In It For You? 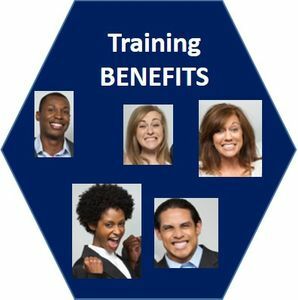 Home | Trainers, Loyalty, Other | PM Career Paths | Why PMP(R) Certification? What's In It For You? Home | PMI(R) Certifications | PM Career Paths | Why PMP(R) Certification? What's In It For You? picture defining the class, then click on the down arrow for dates | PMP® Certification Exam Visibility Board for the current PMP Exam | Read these PMP® Certification Prep Articles | PMI(R) Certifications | PM Career Paths | Why PMP(R) Certification? What's In It For You? Call 360-584-8614 to Pre-Register for Training | PMP® Certification Exam Visibility Board for the current PMP Exam | Read these PMP® Certification Prep Articles | PMI(R) Certifications | PM Career Paths | Why PMP(R) Certification? What's In It For You? The biggest reason to get certified, besides increasing your own self esteem and personal power through confidence in your newfound skill sets, is for your own advancement, for your boss to notice you, for career opportunity doors to open wide, for your colleagues to admire and respect as your leadership qualities shine, and so you can increase your salary, get a more prestigious assignment, meet the challenges you always dreamed you would lead, and go to work loving every minute because you are doing what you always wanted to do. With all of this in mind all you need to do now is find the training company that best fits so you have more opportunity to move your career forward. What if you could find a company that would provide you the highest quality training at the lowest possible price? What if, while taking this training, you found that you now have the tools and know-how to implement your own successful projects after class is over? What would it mean to have increased control of your life and your success? And what would it mean to you if you knew that you did not need any prior training in order to accomplish all of this; and that you don't need to study 200 hours over months of learning before coming to class? What would it mean if you didn't even need to study one hour before coming to class? What would it mean to you if you knew that most people only need finish the quiz practice and review their PMP Exam Performance Checklist areas after the 4 days of class. What would it mean to you if you could follow this proven method and become PMP certified within 10 to 30 days? What would it mean? What will it take for you to join SmartPath LLC where you can prepare to realize your dreams by channeling your energies to become certified? Take your career to the pinnacle. Let us help you get there. See more about our guaranteed-to-run training, where you can even resit for up to six months if you have a lot of gaps, feel the need to do it, or should projects or life events get in your way. You can join this win-win PMP training by visiting SmartPath LLC's 100% Live Onsite or Online training over 2 weekends, 4 week days. We even have loyalty programs for those who were unable to take the exam for an extended period of time, and they want more training.